Online shopping has taken over a lot of the holiday season. But actually getting out there and experiencing the products, the ambiance, and the in-store deals, hasn’t lost all its appeal. However, if you are going to tackle the crowds, we’ve got some pro tips to make the most of your shopping excursion plus an AWESOME Uber coupon code so you don’t even have to worry about parking, walking far, or cocktailing while shopping. Let’s just get right to it. If you’ve never used Uber, you’re seriously missing out on some great benefits, especially if you’re in a big city. And, during a heavy shopping season? My goodness… think of all the money you can save and stress you can instantly remove from your shopping experience. Door to door service. No need to walk to parking garages when your Uber driver can drop you and pick you up right at your destination. Cocktail power. I’m not recommending getting hammered while shopping, but having a glass of wine in between the madness can be great for the nerves. And knowing you have a designated driver, you’ve got nothing to worry about. Power in numbers. Make a girl’s day of it. When you encounter long lines, take turns standing in line while your friends shop around. Stop and have that glass of wine with your girls and enjoy the day. 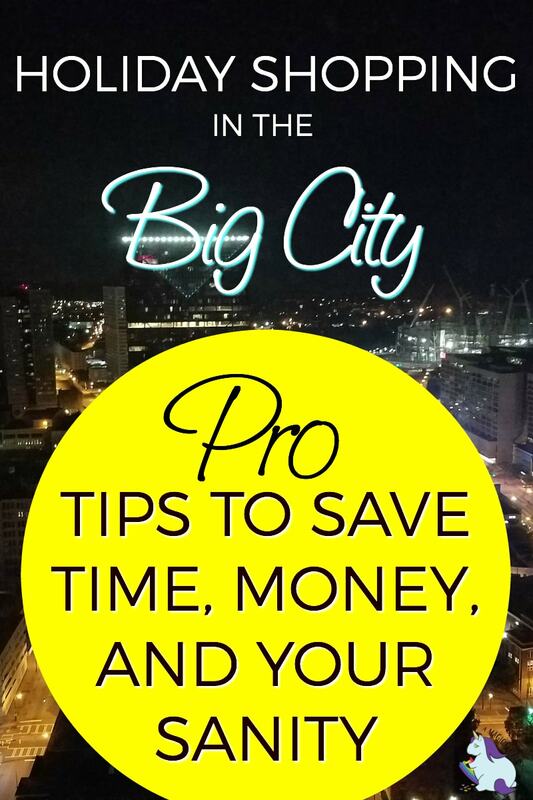 Plus, you can split the cost of your Uber and save even more! SAVE $10 ON YOUR FIRST RIDE. 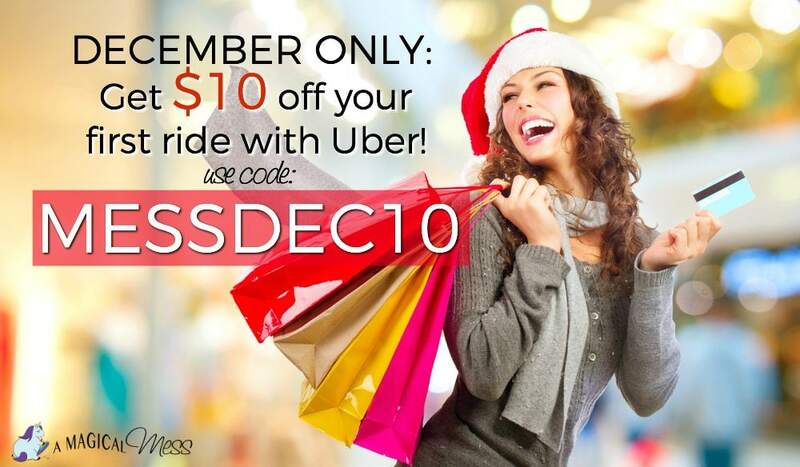 This is one of the best Uber coupon codes: MESSDEC10 you’ll get $10 off your first ride. Depending on where you’re going and the cost of your trip, this could mean a free ride! The more money to spend on gifts the better! Link to the app for ANDROID. Link to the app for iOS. Earlier this year I was a victim of identity theft. But nothing was physically stolen. They either got my social security number somehow or scanned my purse. Yeah. Scanned. My. Purse. I didn’t even know that was a thing. Maybe when I was at the airport, or shopping at the grocery store… someone can literally use a scanner to nab your credit card info just by walking by you. Regardless of your holiday shopping plans, all your credit cards should be kept in and RFID blocking wallet. To prevent pick-pockets from just taking the whole wallet, you can opt for a fanny pack. I realize this is like a huge fashion no-no, but you could easily hide this under your shirt. Cross body bags are perfect too. This one even has locking zippers. Comfort is something to take into consideration too. You’ll want both hands free and don’t need a heavy purse weighing you down. For your feet, you should definitely plan to take care of them. Check the weather and be sure to chose appropriate footwear that will keep you warm/cool, dry, and supported. You won’t be able to get an Uber home if your phone dies. So be sure to have an extra portable battery charger on hand. And these short charging cords are the best for charging on the go. Awesome to have them available whenever needed. What are you waiting for? Use our Uber Coupon Code “MESSDEC10” now! i love that you can ue uber everywhere and they have coupons that i can use to help with me saving.